Andrew Elliot is professor of Psychology at the Department of Clinical & Social Sciences in Psychology, University of Rochester. He is an expert on approach and avoidance motivation. An increasing portion of his work focuses on the influence of color on basic approach and avoidance processes in both the achievement and social domains. This research documents parallels between humans and other primates in the way that color perception impacts psychological and biological functioning. He has developed a general model of color and psychological functioning, and has published on how the color red activates avoidance behavior and influences performance in achievement contexts, but can also enhance interpersonal attraction in romantic contexts. His research has provided a guide for how rigorous empirical research in the domain of color psychology can be conducted. 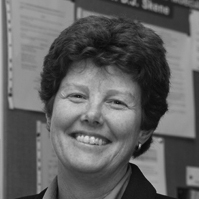 Debra J. Skene is Professor of Neuroendocrinology at the Centre for Chronobiology, University of Surrey. She has over 25 years of research experience studying the human circadian timing system and has authored over 100 research publications. Professor Skene is a Royal Society Wolfson Research Merit Award Holder. She is Vice-President of the European Sleep Research Society (ESRS) and on the Board of the European Biological Rhythms Society (EBRS). Professor Skene and her team's research is directed towards characterisation and treatment of circadian rhythm disorders as experienced by blind people, shift workers and the elderly. Her team’s findings have led to the optimisation of melatonin (dose, time of administration) and light (wavelength, time of administration) to affect the human circadian clock. Prof Skene has pioneered studies on the spectral sensitivity of the human circadian axis, being one of the first to show the importance of short wavelength blue light (Thapan, Arendt, Skene (2001) J. Physiol.). These results have important implications for the design and use of lighting in situations such as the treatment of circadian rhythm sleep disorders, adaptation to shift work as well as in work and living environments. Current research focusses on age-related changes in spectral sensitivity, and on testing novel lighting in older people living in the community and in nursing homes and its affect on sleep, activity, mood and alertness. Skene’s team was the first to show a reduced responsiveness to blue light in older people (Herljevic et al. (2005) Exp. Gerontol.) which has important implications for the design of lighting in homes for older people. Har Hollands (1956) graduated in 1983 from the ‘Technical University Eindhoven’, at the department of ‘Architecture and Urban Planning’. From 1984 till 1998, he worked as lighting designer at the ‘Lighting Design and Application Centre’ of ‘Philips Lighting’. 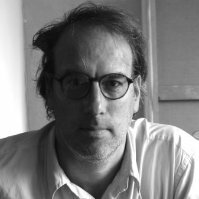 In 1998 he started the office for architectural lighting: ‘Har Hollands Lichtarchitect’. The services of the office range from concept development via lighting visualizations, animations and demonstration to product specification and support on site during installation. Special attention in the design process is paid to the adaptability of the lighting to the scenario of use and to the time of the day, week and year; light - a intangible building material and tool for urban planning - can be made dynamic in such a way, that the lighting moves us. Light to Har Hollands generates a feeling of safety and security, facilitates orientation, is a powerful means for communication, strengthens the unique qualities of places and moments, creates atmospheres and acts like a magical tool during the hours of darkness: The domain of the fantasy. He tries to translate and to integrate the functional, aesthetical and emotional aspects of the demands - which have to be addressed - into a fascinating night-time experience.